Just interested: how did you develop the ChaletOS Style Changer? Did you hand-code it, or is it available for download someplace on the Web? ChaletOS is really superb. Very fine job. I'm telling many people about it. It is hand made c++. I did not release source code. Superb job with it. No need to release source code, in my humble opinion. 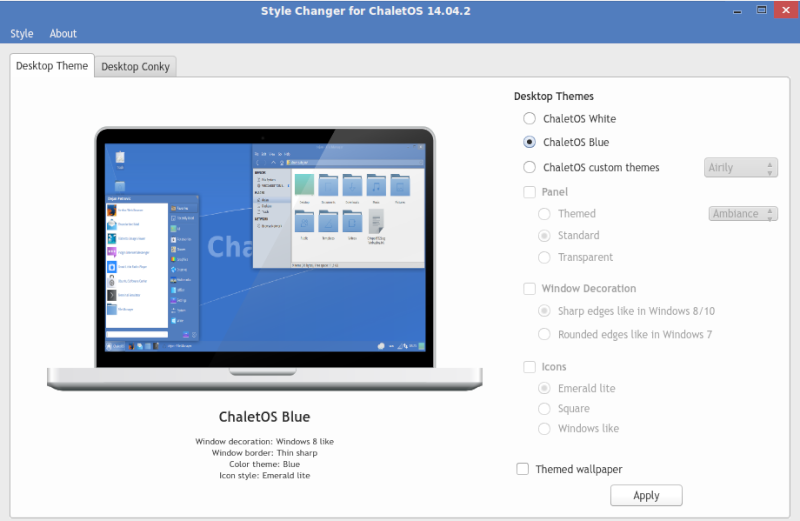 The Style Changer is one of the major features that sets ChaletOS apart from other Linux distros. It allows those new to Linux to begin using it immediately without a lot of configuration. I demonstrated ChaletOS to a group last Thursday and they were favorably impressed. Hope it can continue to gain traction in the Linux world. Welcome to the forum whatznew. 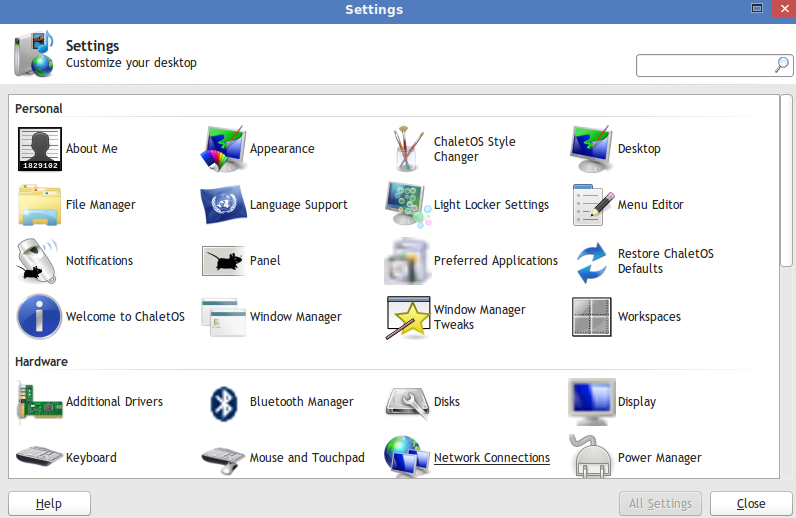 Yes this style changer is excellent and really helps you make the distro look more how you want compared to other XFCE distros you just can't quite make look right.